The Real World house is in the Bird Rock area of La Jolla. I have to confess I’m not a big fan of reality TV, but since all the buzz in our corner of San Diego is about MTV’s The Real World being filmed in Bird Rock – I chose that neighborhood for a long walk today. Located at the south end of La Jolla, Bird Rock is divided by La Jolla Boulevard. On the east side of the thoroughfare, mid-price family homes predominate, but the ocean side has some stunning houses with fantastic coastal panoramas. One of these stunners – at 5212 Chelsea Street – is where the cameras will capture the lives of the 20-something occupants chosen for season 26 of this popular show. While I can’t imagine having my every move broadcast – I do envy them living in this house. In addition to having a drop-dead gorgeous view, the four-story Real World house has a pool overlooking the Pacific and a tennis court on the roof of the upper level. 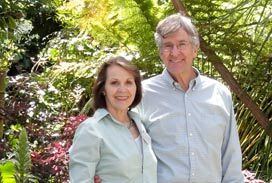 The 8,600 square foot home has five bedrooms and six bathrooms and is valued at about $3.4 million. Cast sightings (four young women and three guys) have already been reported in the area. I wasn’t surprised that the first filming was at the popular Bird Rock Coffee Roasters on La Jolla Boulevard. There’s a Starbucks nearby, but BRCR is definitely THE local favorite hangout. I’ve heard that some neighbors are concerned about the production and the “constant traffic on the streets,” but seriously, all I saw were some plumbers going back and forth from the house to their truck. As I walked though this Lower Bird Rock neighborhood, what really grabbed my attention was the number of ocean overlooks that have been provided between houses. From Dolphin Place to Calumet Avenue to Chelsea Street, I stopped and admired the view from at least a half dozen spots. 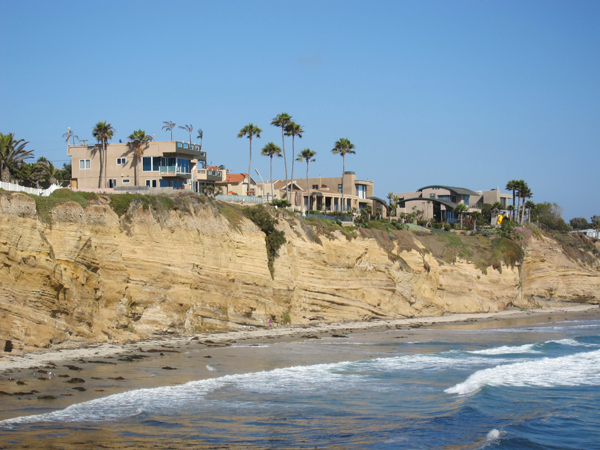 The photo above was taken near the intersection of Sea Ridge Drive and Linda Way and shows The Real World house perched on a sandstone bluff above the ocean. Tourmaline Surfing Park is just out of view to the south. In addition to hanging out at Bird Rock Coffee Roasters, I’m guessing the cast will also have at least one meal at Beaumont’s Eatery on La Jolla Boulevard. This casual spot serves breakfast, lunch, dinner, and a late-night menu and offers live music three nights a week. They will also, no doubt, stop in at the La Jolla Open Aire Market on at least one Sunday morning and head to La Jolla Shores for some beach time, kayaking, or surfing. They might even hit the Gliderport for hang gliding or paragliding. Having said I’m not a fan of reality TV, I have a feeling this is one show I will be watching when it airs later this year. Photo credit: ADAMS / HANSEN STOCK PHOTOS. Click here to see more images of La Jolla.